Gerhard Dijkstra is an Associate Principal in CRA’s European Competition Practice. 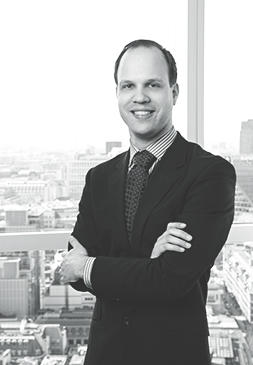 Since joining in 2010 he has worked on a number of high-profile merger cases under investigation by the European Commission (including INEOS/Solvay JV, Universal/EMI, INEOS/SSG Solvents Business, Baxter/Gambro, and Delta Airlines/Virgin Atlantic Airways JV) and the UK competition authority CMA (such as AAH/Masta and Sangers, Tullett Prebon/ICAP, and ATOS Medical/Countrywide). He has also worked on non-merger cases including the CMA’s investigation into Energy, Article 101 investigations (such as the wire harnesses case and for e-books publisher Harper Collins), and damages assessments in cartel cases. His work has involved coordinated, vertical and unilateral effects analysis, and geographic market analysis, and has covered a range of industries including pharmaceuticals, chemicals, music, energy, telecommunications, and consumer products. Gerhard holds an MPhil in Economics from the University of Oxford, and also holds a Research MSc in Economics & Business and BSc in Econometrics & Operations Research both from the University of Groningen. He is fluent in English and a native Dutch speaker.